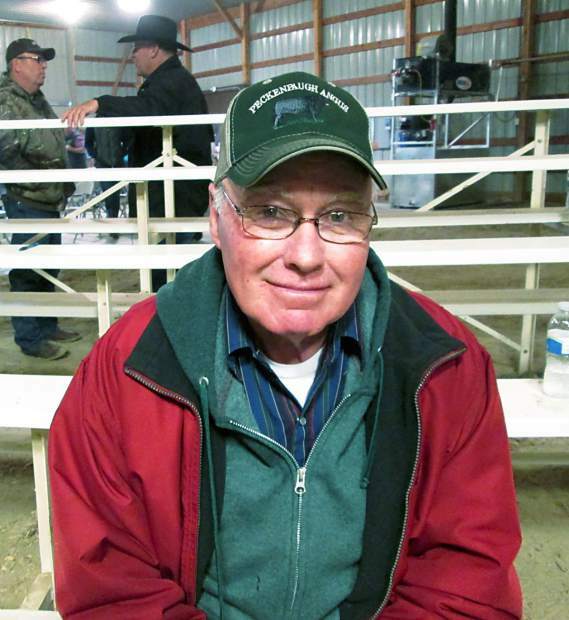 Bob Peckenpaugh, Carthage, South Dakota, bought Lots 14 and 19. Auctioneer Seth Weishaar with owner of Ponca Creek, Tom Lillibridge, and Dan Forgey of Dallas, South Dakota. 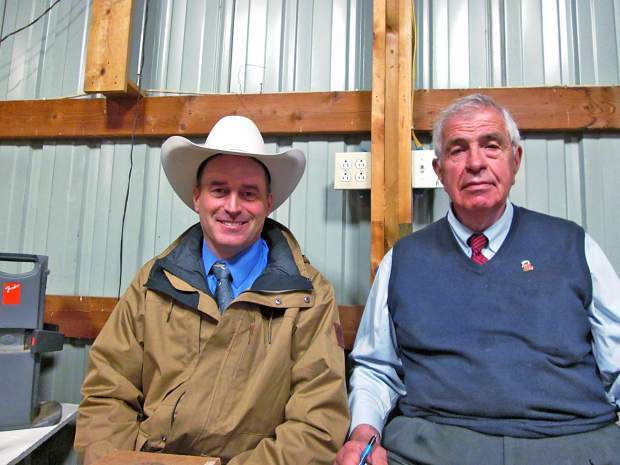 Auctioneer Seth Weishaar with Sale Manager, Tom Burke. 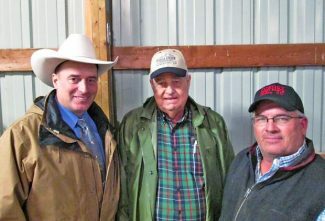 Mike, Virgil and Todd Novotny of Winner, South Dakota, bought several of the top bulls in Lots 15 and 24. Richard Fott, Hamill, South Dakota, bought Lot 28. 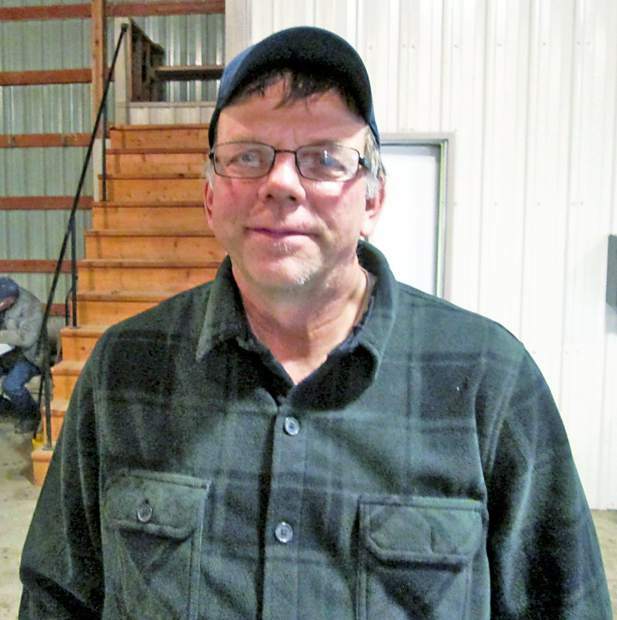 Brandon Kinsley, Murdo, South Dakota, bought seven heifers. Ponca Creek Cattle Company, owned by Tom and Cindy Lillibridge, along with their herdsman, Dwight Pepper, hosted a nice crowd on a very rainy day for their annual production sale. Ponca Creek Cattle Company is located along the south central border of South Dakota, and only a few miles from the Nebraska border. This was a big, stout set of bulls, and probably some of the biggest and heaviest yearling bulls that we have seen this spring. They have excelled in their growth traits, along with being very maternal and full of carcass traits. 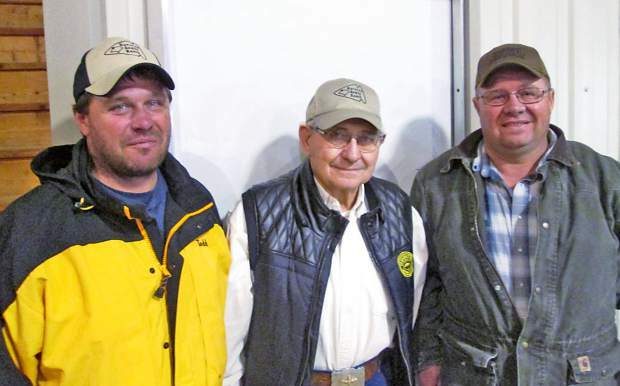 This herd continues to excel in its breeding program as more breeders have used the Ponca Creek genetics to expand their program. The Ponca Creek Pepper bull has gained nationwide attention, and this year they offered for sale a flush from Ponca Creek Pepper's mother. 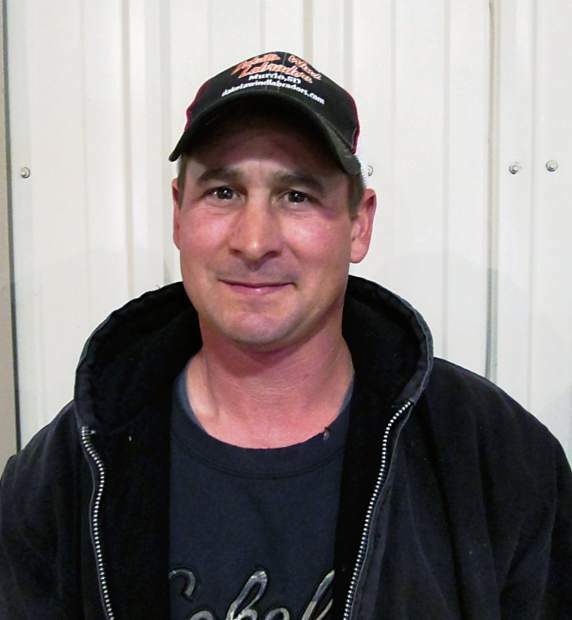 Top selling bull of the day was Lot 15, selling for $11,000 to Novotny Angus from Winner, South Dakota. He was a son of Jindra Double Vision, and out of a first calf heifer by Connealy Final Product. Born at 78 pounds, he weaned at 890 pounds, and reached a yearling weight of 1533 pounds. His EPDs were BW 1.5, WW 69, YW 126, MILK 30, MARB 0.35, RE 0.62, $W 72.57, and $B 150.14. He had a 16.5 square inch rib eye, and gained 4.02 pounds on test. Lot 24 also sold to Novotny Angus for $9,500. This son of Connealy Packer 547 was out of a Pathfinder dam by SAV 8180 Traveler 004 who ratioed 105 on six calves. Entering the world at 83 pounds, he posted a weaning weight of 812 pounds and a yearling weight of 1393 pounds. His EPDs were CED 9, BW 0.5, WW 60, YW 107, MILK 25, MARB 0.49, RE 0.47, and $B 142.93. He scanned a 15.0 square inch rib eye. Lot 51, Ponca Creek Sure Shot 321, a son of D427 Sure Shot A32, was out of a daughter of Connealy Final Product, and sold for $8,000. With a 76 pound birth weight, he weaned at 864 pounds to ratio 106, and grew to a yearling weight of 1477 pounds. He had EPDs of CED 12, BW -1.7, WW 56, YW 100, MILK 30, MARB 0.54, RE 0.61, and $W 64.10. He was out of a first calf heifer, and scanned a 15.3 square inch rib eye. His new owner is Bruce Heyden from Newport, Nebraska. 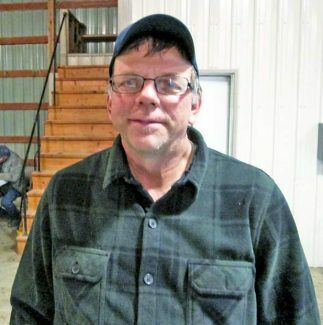 Greg VanderPol from Gregory, South Dakota, chose Lot 7 at $6,750. He was a son of Ponca Creek Pepper and out of a daughter of Connealy Final Product. He had an outstanding weaning weight of 916 pounds to ratio 113. He kept growing, reaching a yearling weight of 1585 pounds to ratio 112. His EPDs were BW 4.2, WW 72, YW 129, MILK 31, MARB 1.05, RE 0.51, $W 67.06, and $B 171.08. This bull was designed to provide pounds to market in a desirable package. Pathfinder Dams are in his background. Another popular bull was Lot 1, a son of Ponca Creek Pepper. He was 88 pounds at birth, with his mother a daughter of GAR Predestined. He weaned at 747 pounds, and attained a yearling weight of 1,486 pounds to ratio 110. His EPDs included BW 2.8, WW 59, YW 118, MILK 29, MARB 0.91, RE 0.41, and $B 162.26. He had a rib eye of 13.7 square inches and an IMF ratio of 110. The top selling heifer calf was Lot 63, selling for $3,250 to Tate Novotny from Colome, South Dakota. She was a daughter of Ponca Creek Pepper and her grand dam was a Pathfinder. 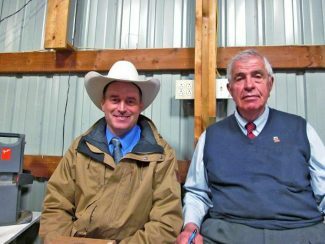 a daughter of Connealy All Around) sold for $7,500 to purebred Angus breeder, Dan Forgey, from Dallas, South Dakota. There was an excellent dinner with the beef prepared by Jack Sieben from J&R Feeds.